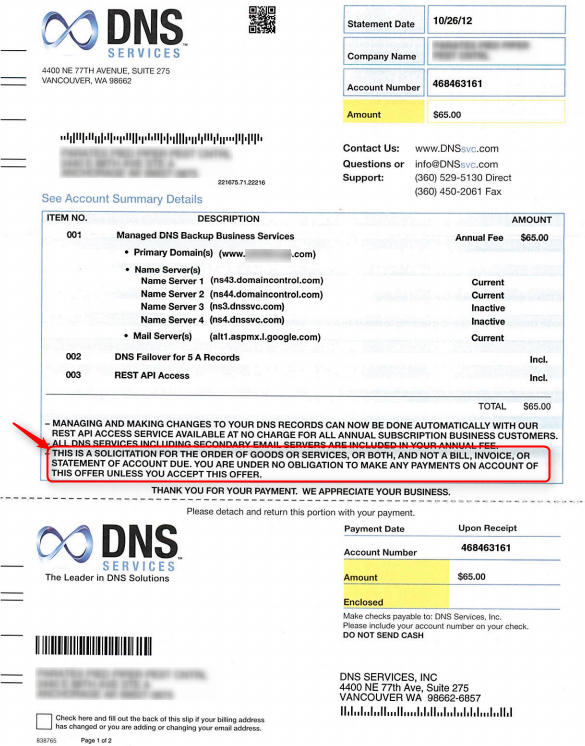 This type of scam usually succeeds with the accounting department and busy small business owners who quickly pay what looks to be a real bill. If you receive this “bill” feel free to trash it or respond with a bill of your own, for wasting your time. Contact us with any questions about DNS, web hosting or other web accounts. Thanks for writing this! I got one of these in the mail. 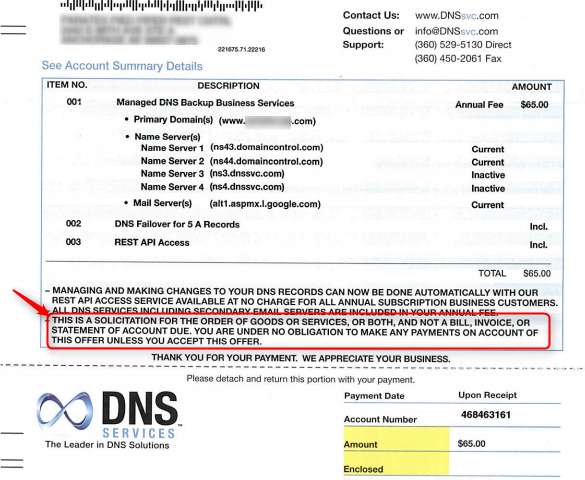 Your blog post, “DNS Services Bill Scam” ended up being worthy of commenting here! Just desired to point out you truly did a great work. Hi there, this article was very helpful! Awesome work.